Over the Indian Ocean, a Malaysia Airline jumbo jet drops from radar. Three hundred and twenty-seven souls disappear with it; a woman in Rockford, Illinois is brutally murdered. Unrelated news events? Retired FBI agent Sean Kruger doesn't think so. He suspects it's the work of serial killer Randolph Bishop. Now a college professor, Kruger has tried to live with the mistake he made while investigating Bishop six years earlier. It looks as though the only man to elude him, in his 25-year tenure with the FBI, has returned to seek vengeance on those who forced the man to flee the country. With his family in danger, Kruger comes out of retirement to find Bishop's trail. A trail that leads Sean to question his own humanity. Randolph Bishop joins the ranks of fictional serial killers such as Hannibal Lecter, Patrick Bateman, and Anton Chigurh in this tale of revenge and justice. The Impostor's Trail will keep you up late into the night. Another excellent adventure of Sean Kruger. It doesn't disappoint. This is the first book I have listened to in this series and am not sure how I missed the first 2!! It had me from the first chapter all the way to the end!! Narrator Paul McSorley did a great job! I am going to have to get my hands on the first 2 books in this series. I was given this free review copy audiobook at my request and have voluntarily left this review. What did you love best about The Imposter's Trail? Characters are what keep me coming back to a series. When I saw this book available on Audiobook Boom I was very excited. Sean Kruger is an awesome character - mature and experienced, professional, deeply cares about his colleagues and family. After listening to this story I like JR and Mia, as well. This is a character-driven story. J.C. Fields writes excellent heroes. He writes scary villains equally well! Bishop is every woman's worst nightmare! Have you listened to any of Paul J McSorley’s other performances before? How does this one compare? I've listened to Paul J. McSorley read a previous Kruger novel. He's an excellent narrator. This novel is quite intense. Some of the events that happen are disturbing and I found myself needing a break. Fans of mysteries and thrillers will have no problem listening to this book over a few days. Excellent story. FBI/cop Sean Kruger lets a serial killer slip through his fingers and years later he resurfaces to wreck havoc. Bodies pile up as Kruger and his crew struggle to catch the elusive killer. Wonderful narration! I will definitely check out the others in the series! I received a free review copy of this book at my request and have voluntarily left this review. I couldn't put the book down. I read it in one very long sitting well past bedtime. I was well and truly gripped - I NEEDED to know what was coming next. Tightly plotted, fast paced and plenty of red herrings - I loved it! The fact it stuck with the story and just enough about the characters for me to care about them without it being to much info. Very fast paced. The villain is one for the history books. Calculating and ruthless. The narrator brought him alive. Bishop. The narrator brought him alive. I feared for every character that came across his path. This is the first one I have ever heard. His voice is great. A new serial killer has taken the stage. I discovered this series last year and tore through the first two books. It is a fun series in the vein of David Baldacci and similar authors. I definitely recommend it to a wide audience without many reservations. While there is some violence to be expected, it is not over the top and I could easily see this being a PG/PG-13 movie. 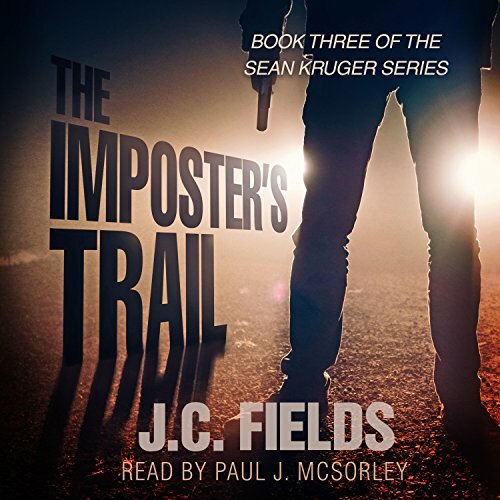 Paul J McSorley continues with a good read with his rich voice. This listen kept me on the edge of my seat from the very first chapter to the last. (I love it when that happens.) It's book three in a series but my first. I'm not sure how I missed the first two books but I won't miss another. What a great character Sean Kruger is. He's all business, sorta ex-FBI, with a genius criminal mind. The bad guy was seriously deranged and quite frankly, too well-written. The match-up between Kruger and the bad guy, Randolph, played out like a horror movie. If you are a fan of Criminal Minds, you will love this listen. The narrator nailed it!!! It has to be some genius-level narrating when you can create the positive persona that is Sean Kruger as well as the absolute ick-monster that was Randolph. This was a really, really, really good listen but not for the faint of heart. This is the third book in this series that I have read and I have enjoyed it as much as the other two and although it is a series, each one could be read as a stand alone. Retired from the FBI, after his last case, and feeling a little bored and out of sorts with is current position teaching at a university, Sean Kruger is thrust back into his passion as an investigator by those who know well his capabilities. A Malaysian plane disappearing over the Indian Ocean and a psychotic serial killer that escaped Kruger 6 years ago become the focus of his investigation. Teaming up with JR, his computer expert from past cases, Kruger leaves his teaching and heads up a special investigative unit on special request by the president of the United States. JC Fields does an excellent job developing the plot and keeping you in suspense throughout the book, although sometimes a little unbelievable, probably possible, and definitely not predictable.